Serve cold with lettuce and tomato wedges, or use as sandwich filling. Mix turkey, nuts, raisins, celery, onions, carrots, parsley and apple in a large bowl. In a small bowl, combine mayonnaise and vinegar; mix well. 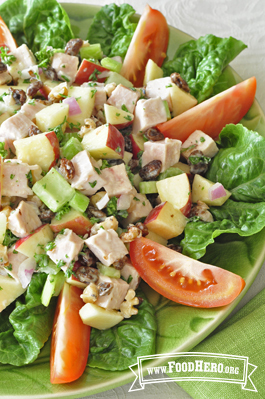 Toss meat mixture with dressing and chill.